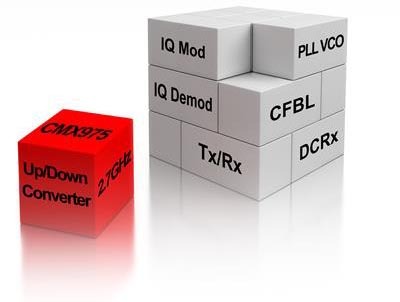 CML Microcircuits is pleased to announce the release of the CMX975 – 2.7 GHz Up/Down Converter expanding its RF Building Block IC range. 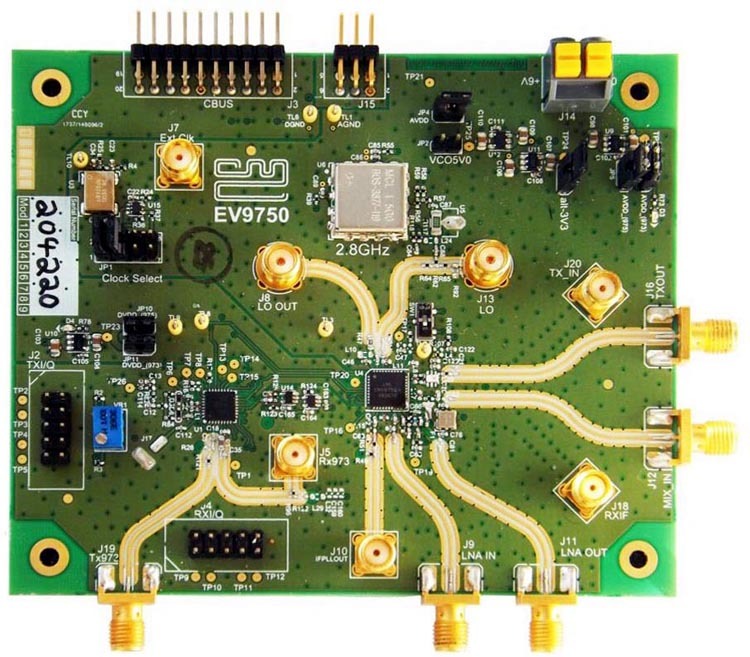 The CMX975 is an enabler for small form factor high frequency RF transceiver designs, operating up to 2.7 GHz, that require high performance and low power consumption; in a small form factor. The device integrates up and down conversion mixers and associated frequency generation circuitry, therefore minimizing the number of external components required to configure a complete system. The device features programmable operation, allowing the designer to fully optimize the system design. Both receive and transmit mixers can be selected to operate as a double balanced mixer stage or as image canceling mixers, intended to ease external filtering requirements and to lower overall system cost. A flexible switching arrangement allows internal or externally sourced local oscillator signals and the main RF mixers to be driven from an external or integrated VCO. The integrated Fractional-N PLL allows fine frequency resolution and fast frequency lock. An integer-N PLL and VCO is also integrated to provide an IF local oscillator for superhet architecture operation. The CMX975 has programmable power management functionality, controlled via a SPI compatible serial bus, operates from a single 2.7-3.6 V power supply and is available in a small outline VQFN package. EV9750 – Evaluation Kit for CMX975. The device is ideally suited to applications in mobile satellite services (MSS), military communications, aircraft surveillance systems, high performance ISM radio applications and general purpose RF/IF communication systems.